In order to alleviate poverty, people-oriented projects (those dealing with activities such as institutional development, health, family planning, education, and rural development) must be well-targeted towards the most vulnerable groups. However, official 'top-down' information is incapable of identifying, prioritising and 'marking out' these groups at a local level, and the result is too often an unfair, inefficient and ineffective allocation and use of the resources of social programmes. The author argues that a 'process approach' is often necessary to geneate relevant knowledge about local needs, especially in poor urban and heterogeneous areas. Such an approach fosters flexibility and adaptability to the local context. 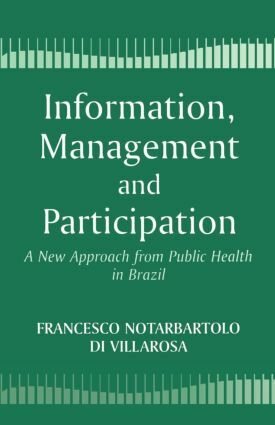 The book analyses the whole approach to information handling which was developed in the Brazilian project. The different phases are analysed; the collection and processing of data and the construction of an information system to be used for decision-making. "This is the kind of book I always wish there were more of in the development literature … The author manages to combine enough of the nitty-gritty details of a case study to satisfy the reader"s desire for specifics without losing sight of wider themes of interest to many development workers and researchers … The book is written in a particularly lucid and easily readable style that means it can be read or dipped into quickly - that recommends it immensely.